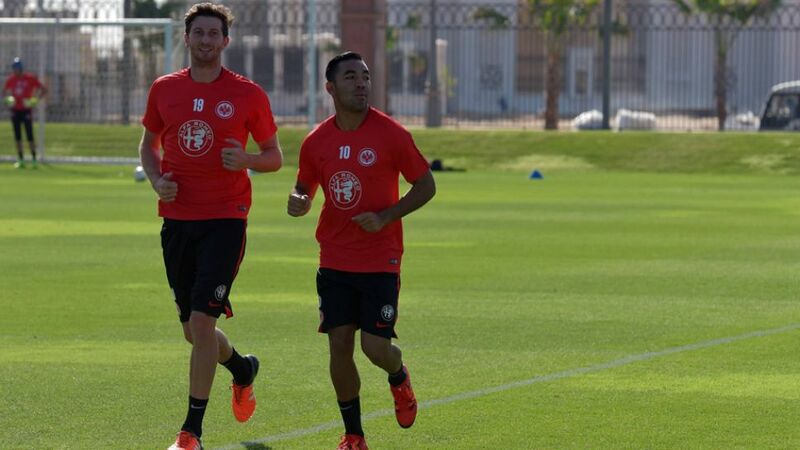 New Eintracht Frankfurt signing Marco Fabian says he is settling in well at the club and is looking forward to "writing his own story" in the Bundesliga over the coming months. Frankfurt had a patchy first half of the season and went into the winter break in 14th place, just two points above the relegation zone. Nevertheless, there is a mood of optimism at the club's training camp in Abu Dhabi, especially after head coach Armin Veh brought in a number of promising new signings - including Fabian. Speaking to the Eagles' YouTube channel, the 26-year-old also expressed his gratitude to team-mates and fans alike for the support he has received so far, as well as voicing a desire to emulate the success of the Bundesliga's other Mexican, Javier 'Chicharito' Hernandez.